As a buildings engineer, I’ve had the fulfilling opportunity to travel for work, experiencing new cities, learning about emerging building techniques, and seeing firsthand how new projects play an important role in complementing the fabric of a community. But it’s not often that I can say my projects are also certified globetrotters. New York City’s largest modular hotel, the CitizenM Hotel on Manhattan’s Lower East Side, is just that: The project concept originated in Amsterdam, was built in Poland, shipped to Brooklyn in 300 pieces, and then assembled in its permanent home in the Bowery neighborhood. Clocking in at 20 stories tall with 300 guestrooms, the CitizenM is a prime example of how modular can be leveraged on a large scale. Modular construction – a building process where building components are fabricated off-site in a controlled manufacturing setting, and then constructed on-site – is rising as a construction strategy here in the U.S. after years of popularity in Europe. Valued for offering greater efficiency and quality control, modular construction is gaining ground across all property types, from multi-family and hospitality, to education and lab space. 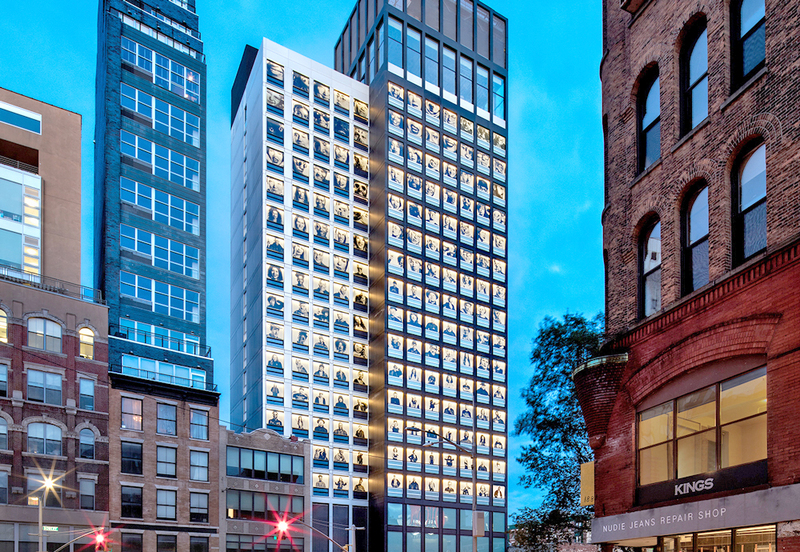 The CitizenM Hotel and projects like it are paving a new frontier in the U.S. for more efficient and flexible construction. In fact, industry observers expect the number of new commercial projects delivered via modular construction in North America to nearly double over the next five years. But with such great advantages comes potential challenges that all project teams should prepare for to ensure success. Greater quality control: Because much of the workmanship occurs in a controlled factory setting, there is greater regulation over the fabrication of each module. This helps ensure consistent quality, and helps minimize errors in the field. Increased efficiency of architectural layouts: Developers, architects, and engineers are forced to maximize the efficiency of the physical floor space, and become more creative and collaborative in the design approach as a result. Maximized productivity: Since fabrication occurs off-site, other work can happen on-site concurrently without disruption. Also, weather disruptions become less of a factor when a majority of a project is manufactured indoors. Improved construction schedule: On average, modular projects can be completed faster than traditional construction. While there’s much to be said about the benefits of modular building, there can be downfalls if the team isn’t prepared to manage the increased need for collaboration and logistical planning. Recognizing learning curves: It’s true that modular is gaining steam across the country, but it’s important to recognize that all project partners may not be highly experienced in this building model. Similarly, local authorities may also be catching up on modular, and working to perfect their inspections and approval processes. Because of this, proactive, consistent communication with all stakeholders is essential. The greater the collaboration, the greater opportunity to anticipate challenges and address solutions. Coordination: This lesson applies to all projects, since no two buildings are the same. But, it’s worth noting that modular adds another highly unique layer to design and engineering considerations. In the case of CitizenM, we had to look at the design of the building systems in a new way. Each module, or pod, required additional design coordination, which consisted of design drawings produced at a shop drawing or 3D level to minimize horizontal and vertical conflicts, and to ensure that all components can be installed, accessed, and maintained. Due to the size of the floorplates, and the load calculations of the guestrooms, we designed 15 MEP shafts within the building interior that would be linked with the pods as they were stacked like Legos. Height Considerations: Owners and architects need to plan for additional floor-to-floor heights and additional space between pods. Each pod has an independent wall, floor, and ceiling structure/cavity. This is unlike conventional construction where two adjacent rooms share the same wall, and two stacked rooms share the same ceiling/floor. Transporting modules: While having pre-fabricated modules on-site helps to speed construction, the logistics behind delivering these pieces to their final home requires a highly synchronized plan. Especially in a city like New York where vast bridges and narrow, bustling roadways come into play, transportation strategy is essential to avoiding any hurdles. Coordination with local authorities is vital in ensuring a seamless delivery. Accommodating assembly: Special considerations also need to be made for site logistics of the crane to hoist and set modules. This is especially pertinent in dense urban environments where space for any type of construction activity is limited, let alone raising and setting modules. With the growing need for innovative building tactics, modular construction presents a very welcome solution for many property developers seeking greater control, efficiency, and productivity. This is especially the case with smaller hotel guestrooms and residences, when design can utilize typical floor plans where the same stacked architectural layouts can take full advantage of vertical infrastructure. Through proper planning and the ability to be nimble, project teams will find that modular creates great opportunity for creativity and successful delivery.